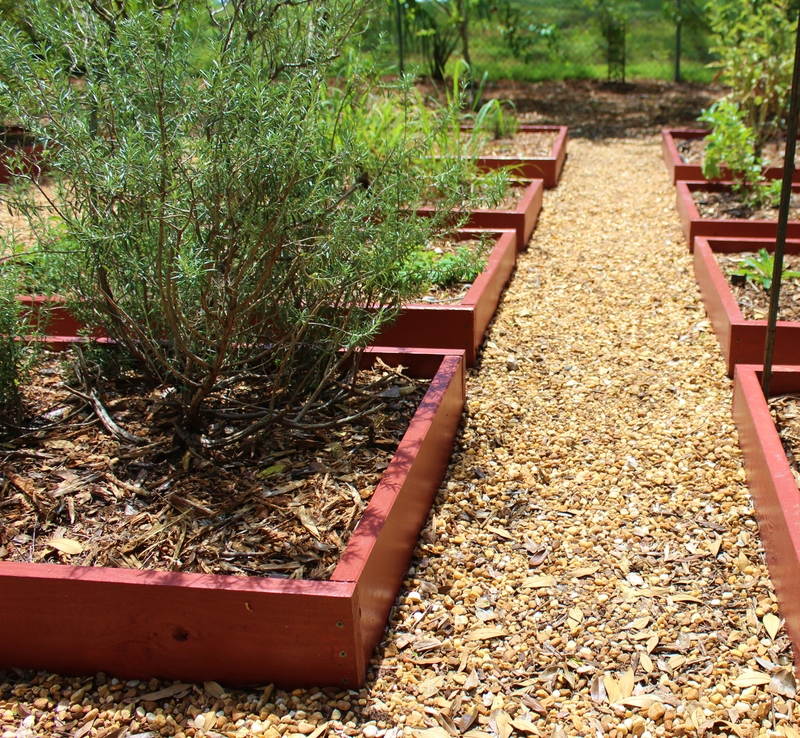 Mulches, in addition to adding aesthetics, provide many benefits to our gardens. They suppress weed growth, retain water and nutrients in the soil, moderate soil temperature and control erosion. Additionally, organic mulches break down and improve the soil by adding nutrients. These nutrients are then used by the plants. Mulches also protect plants from lawnmowers and weed eaters and provide beds with a tidy, finished look. 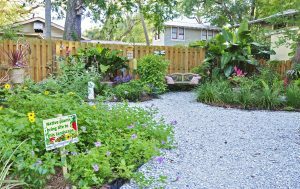 “Inorganic mulches, such as pavers, lava rocks and crushed shells, do not return nutrients to the soil,” Virginia Overstreet, a UF/IFAS Extension Hillsborough County Master Gardener says. They also enable weeds to grow by providing sunlit crevices. Inorganic mulches should only be used where soil improvement is not important, such as pathways and around seating and entertainment areas. For succulents, large pebbles or small rocks, can be added to replicate a natural look. The rocks reflect heat onto the plants, which the succulents or cacti enjoy. Cypress byproducts and mulch should not be used as they are not sustainable currently. They are slow growing trees and are a valuable wetlands organism. Cypress trees are native to the south and are the habitat of the endangered Florida panther, a subspecies of cougar, the Florida black bear and the red cockaded woodpecker. “Also mulches made from recycled rubber are best used in pathways or playgrounds, and not around plants,” Hillsborough County Master Gardener Nanette O’Hara adds to the list of what not to use for a garden. Gardeners should use their fallen leaves, pine needles/bark or alternative mulches such as melaleuca or eucalyptus. Recycled mulch, made from yard waste, is often available from municipal recycling centers for a nominal fee. Pine bark, pine straw and melaleuca are among the most durable mulches, while oak leaves decompose quickly. “Tree trimming companies are often happy to drop off mulch from their trimming and removal jobs to homeowners for free, as it saves them disposal costs,” O’Hara says. In the past two years of owning my home, I have received several loads for free which I have used for both pathways and inside garden beds. Research shows that termites may be present more frequently in mulched areas than in non-mulched areas. Mulch, O’Hara says, “is actually a poor environment for termites.” She says while it is not a preferred food source mulch can increase the ability of termites to survive where they are already established by keeping the soil moist, but it does not increase the risk of infestation. To deter termites from your home, do not maintain three inches of mulch within 1 foot of the foundation of buildings. Apply one inch of mulch to reduce moisture near foundations if necessary, as dry soil will deter termites. Overstreet says, “In fact, mulches serve as habitat for a variety of beneficial wildlife such as lizards, snakes, beetles and ground dwelling bees.” Earthworms, a beneficial aerator to the garden, also thrive in organic mulch. I once heard a gardener say that you should apply your mulch like you apply your frosting: three inches deep. Anything less will not help retain moisture – and that goes the same for the mulch. Three to four inches helps regulates temperature and decreases erosion at optimal levels research has shown. To prepare a garden bed for mulch, cut closely or pull out existing weeds. Create a border and amend the soil. Adding a layer of newsprint or cardboard first and then a second layer of mulch such as compost, grass clippings or straw will further reduce weed growth. Permeable black plastic can be used as mulch for gardeners who want to extend their growing season. The black plastic will increase the temperature of the soil. Crops must be planted early, so the plants have time to establish themselves and create enough shade before the summer heat arrives. If the crops do not produce enough shade, the plastic can be removed. Potted plants, including herbs, vegetables and ornamentals, will also benefit from heavy mulching. 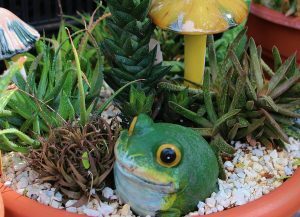 Often decorative pots, such as clay or terracotta are porous, and add to water loss from the already porous potting soil mix, compared to soil that is in the ground. Pots are also usually placed on top of hardscapes which also add heat, which results in more evaporation. For succulents large pebbles can be added to replicate a natural look. The rocks reflect heat onto the plants, which the succulents or cacti enjoy. Wood chips or bark chips can be used for most other types of plants. Once the much is placed, still in layers up to three inches deep, you will notice your plants will not be affected as severely by the summer heat. For a decorative and unique look colored marbles or cork from bottles also work. Aside from a few members in the Solanaceae family – mostly tomatoes – plants do not fare well when mulch is coned up around them. It smothers the plant. A better solution would be to use the mulch as a large saucer, right outside of the drip line to keep the water near where the plant needs it – their roots. Compost Tends to be acidic, which is favored by alkaline soils. Compost contains many nutrients. Tends to be acidic, check your pH levels before applying. Since compost contains many nutrients, it does not suppress weeds, and may even encourage composted material to start sprouting. Grass clippings If grass clippings are green they will add nitrogen and beneficial organic matter to your garden. May contain weed seeds. Newspaper Inexpensive, easy to block out light to prevent weeds, encourages earthworms. Decomposes after a few months, best to be used in conjunction with other mulches on top of it. Pebbles Useful on pathways and driveways. Easily pushed in unintended areas, can cause problems with mowing machines. Pine straw Acidic, has chemicals that prevent the germination of weed seeds. Acidic, has chemicals that prevent the germination of seeds that you want to grow. Pumice rock Lightweight, only rock mulch which retains moisture. May have to set watering system for longer duration, due to being porous. Rock mulch Large rocks look great in perennial beds, cover large area with fewer stones. Depending on the size and color, can absorb heat creating warm micro-climates. Straw mulch Maintains moisture, inexpensive, can reduce heat due to its light color. Must use a thick layer to block out light and prevent weeds. Wood chips Retains water, advantageous for both wet and dry areas, breaks down quickly, high in carbon to nitrogen material, reduces temperature fluctuations. If obtained for free from a tree service, maybe not be uniform in appearance. What mulch do you prefer? Originally published in the May/June 2015 issue of Florida Gardening.